The German government says British Prime Minister Theresa May is to visit German Chancellor Angela Merkel in Berlin on Tuesday. The German government says British Prime Minister Theresa May is to visit Chancellor Angela Merkel on Tuesday in Berlin. 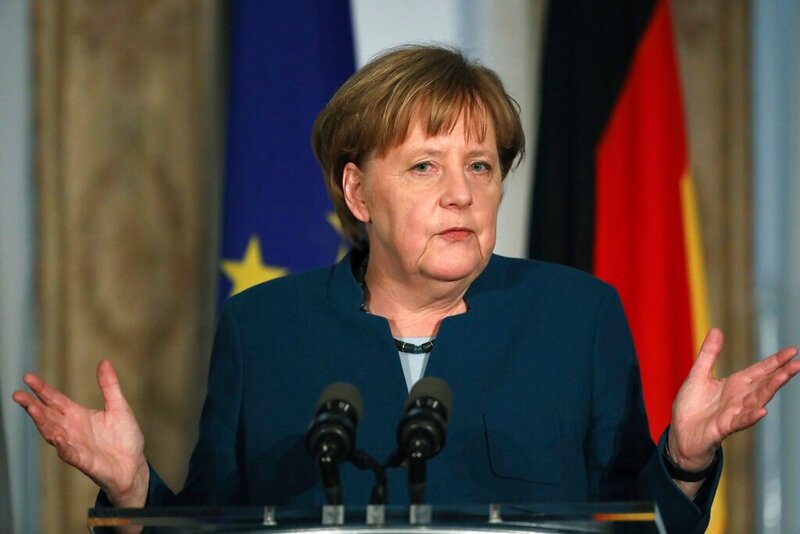 Merkel's spokesperson, Steffen Seibert, said the two leaders would discuss Brexit and a a special European Union summit on the same subject that's scheduled for Wednesday. British Foreign Secretary Jeremy Hunt says that Prime Minister Theresa May "is leaving no stone unturned to try to resolve Brexit", two days before a European Union summit to consider an extension to Britain's exit date. "For Theresa May to open talks with someone like Jeremy Corbyn is not at all easy but she is doing that because she is totally and utterly determined to deliver Brexit," Hunt said before a meeting of EU foreign affairs ministers. Former Foreign Secretary Boris Johnson says Britain must not agree to a permanent customs union with the European Union, amid speculation that the government is about to propose such an arrangement to win opposition support for its Brexit deal. Prime Minister Theresa May is preparing for further talks with the opposition Labour Party as she tries to hammer out a compromise that would avert a damaging no-deal exit from the EU on Friday. Writing on Monday in the Daily Telegraph, Johnson says the customs union proposed by Labour leader Jeremy Corbyn would "enslave" the UK. Johnson says in a tweet: "We should not agree to be non-voting members of the EU, under the surrender proposed by Jeremy Corbyn – it cannot, must not and will not happen."